Stocking your wardrobe with sustainably made clothing isn’t easy. Stocking your wardrobe with sustainably made clothes that are affordable and create zero waste is even harder still! When I first discovered tonlé I thought they were too good to be true: fairly and sustainably made clothing using a zero waste process that doesn’t cost a fortune? Amazing! I wanted to share with you the items I ordered from tonlé, my thoughts on the quality, style, and fit, as well as information about a brand that’s changing how we approach fashion. 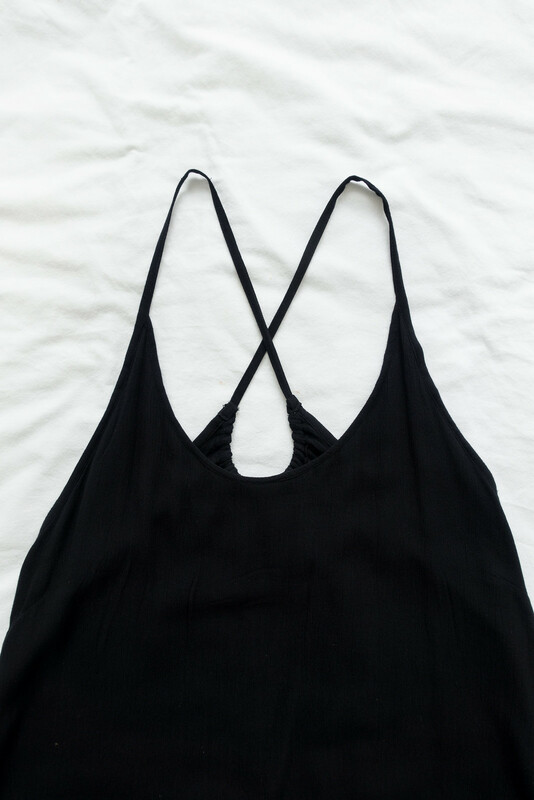 Each tonlé garment is made from waste material but you wouldn’t know it. Each beautifully handmade with care and attention to every detail. 90% of tonlé's materials are recycled fabrics from local factories and the remaining 10% are made by local and sustainable suppliers. The tonlé team hand makes every garment by hand-knitting, hand-weaving, handy-sewing, dyeing, and screen printing every piece. The Dara Dress* is fully lined yet lightweight so it's not transparent or weighed down by the extra fabric. The material is crinkle cotton gauze, which has a lovely handfeel and drapes beautifully. The thins straps with crossover on the back adds an extra touch of detail to an otherwise classic little black dress. 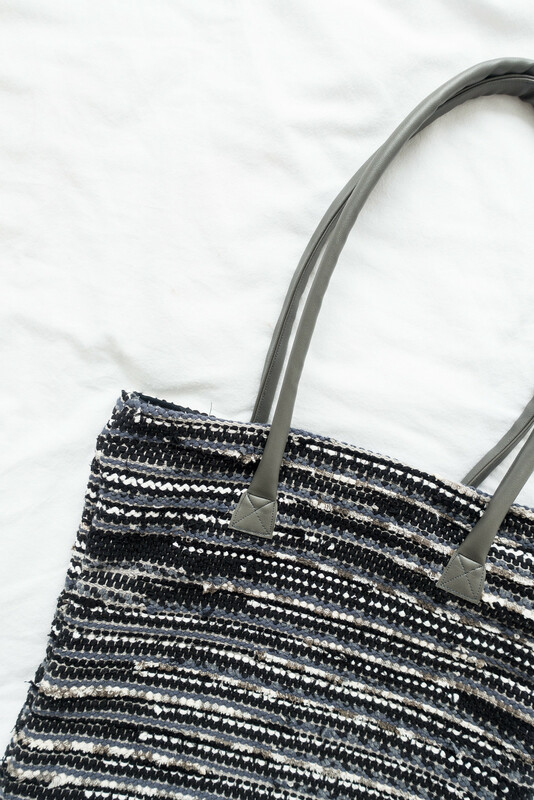 The Sol Tote* has been hand-woven using a mixture of scrap materials and vegan leather from upcycled upholstery fabric. It has a metal zipper closure, sturdy straps, and a structured base. Each tote is one-of-a-kind and has a wonderful colour and texture, it even has a label inside telling you the name of the person who made it. As soon as I tried the Dara Dress on I knew it was going to be my new favourite dress, it has a flowing drape and loose fit making it a versatile wardrobe piece. Paired with smart shoes and a handbag, it’s the perfect little black dress for a dinner date yet it’s so effortless to wear you can throw the dress on for a more casual look. I love the v-neck design with thin straps and crossover back, these details make the dress a great staple piece. Due to the style and fit of the dress, sizing is generous and I imagine you could get away with ordering a size smaller or larger and it would still look great. Structured totes are so useful for daily chores. I’ve been taking the Sol Tote to the studio with me to carry my laptop and books or to run errands with. The structured shape, supported base, and sturdy handles make it a hardworking bag that can carry a hefty weight. The size and shape is perfect for everyday essentials; it’s larger than an average tote but not so big it’s cumbersome to carry. The straps are long enough to wear over the shoulder and they feel comfortable to hold too. tonlé employs a zero waste approach to making their products in the hopes of reducing waste, saving water, and reducing carbon emissions. The production of clothing generates millions of tonnes of waste each year, which is either incinerated or sent to landfill. Instead of letting it go to waste, tonlé sources scrap material from mass clothing manufacturers so their Cambodian makers can give them a new lease of life by turning the scraps into handmade clothing and accessories. Each and every one of tonlé’s products are truly handmade using waste fabrics and natural dyes, even their packaging is made from 100% recycled materials. From conception to completion, tonlé’s closed production loop creates zero waste. tonlé is the only true zero waste fashion brand I’ve come across so far. From start to finish, tonlé's entire process is low impact and zero waste. The quality and style of products aren't compromised at all by the use of scrap materials and handmade techniques, and the prices are incredibly affordable. 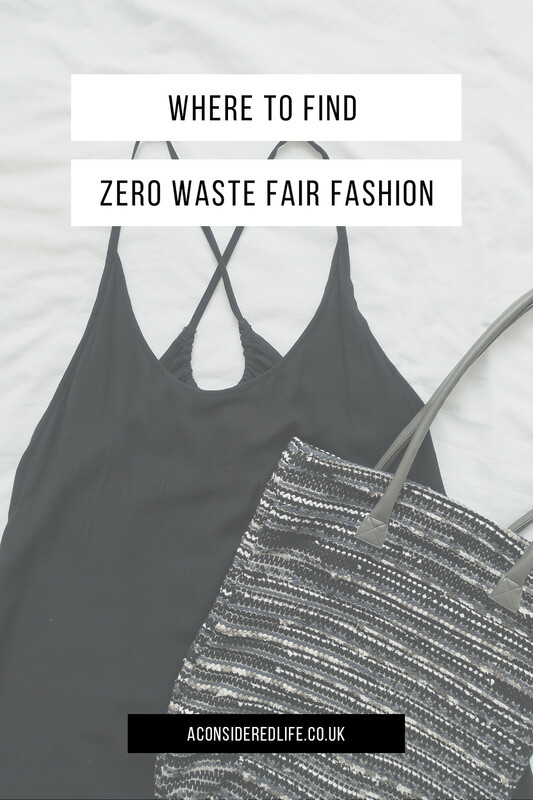 I’m thoroughly impressed by tonlé's commitment to creating zero waste fair fashion at an affordable price point. 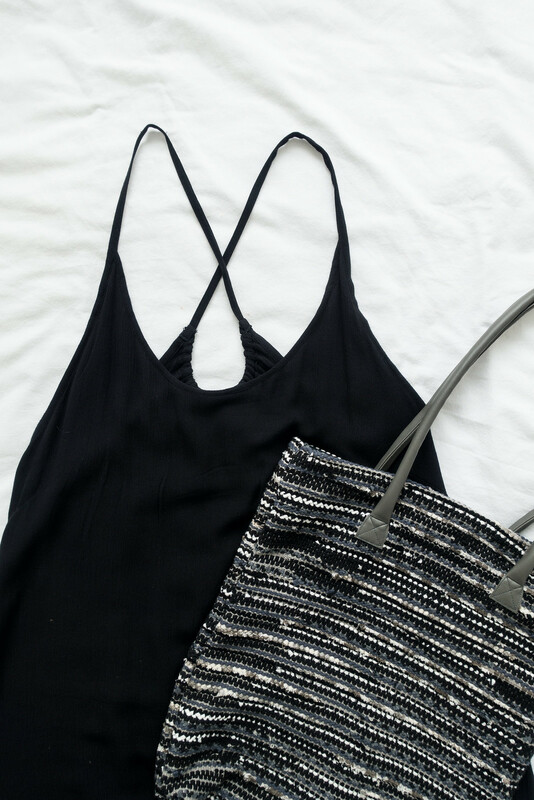 The Dara Dress has become an essential or me, I try to find any excuse to wear it, and the Sol Tote is my go-to bag for running errands. Both pieces are beautifully made and wonderfully unique. It feels good knowing that by wearing tonlé I’m making my wardrobe and my style a little more earth friendly.